This is an excellent visual effect. 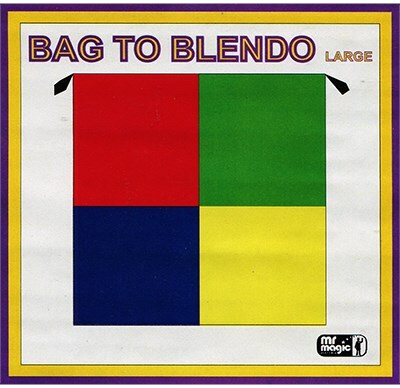 The performer presents a solid colored bag from all sides. The bag is about 11" square. Now 4 different colored hankies are dropped into the bag. The bag is given a shake and in an instant it visibly transforms into a large silk foulard of the same four colors! As if somehow the silks blended together into a multicolored silk foulard. Note: The exact colors for the supplied silks may vary from one set to another.